Public speaking isn’t just about engaging an audience. To Chrissy, it’s about transforming it. 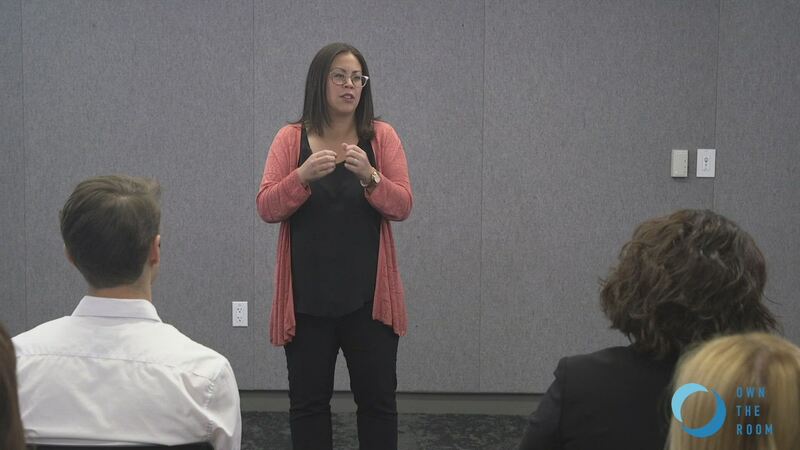 As a coach at Own The Room, Chrissy helps professionals become dynamic communicators so they can influence their audience in a transformative way. No matter where life has taken Chrissy, she’s always been an educator at heart. With a Doctorate in Educational Leadership, her passion is teaching others to become better communicators and leaders. In addition to coaching, Chrissy leads new student services and orientation programs at UC Berkeley and the University of Southern California. She has trained students in public speaking, customer service, diversity education, and group facilitation. She also piloted a student onboarding program in Shanghai, Beijing, and Hong Kong, where she learned what it truly means to be a global citizen. When she’s not training and developing leaders, Chrissy is usually cheering on her hometown San Francisco Giants, spending time with her two-year-old daughter, or traveling. "Chrissy's demeanor was fantastic. She was personable and humorous. She made everyone feel at ease as they went through the training. Her laugh was the best!" "Chrissy was great she has this special knack of just making an audience listen and be comfortable with her as a speaker."